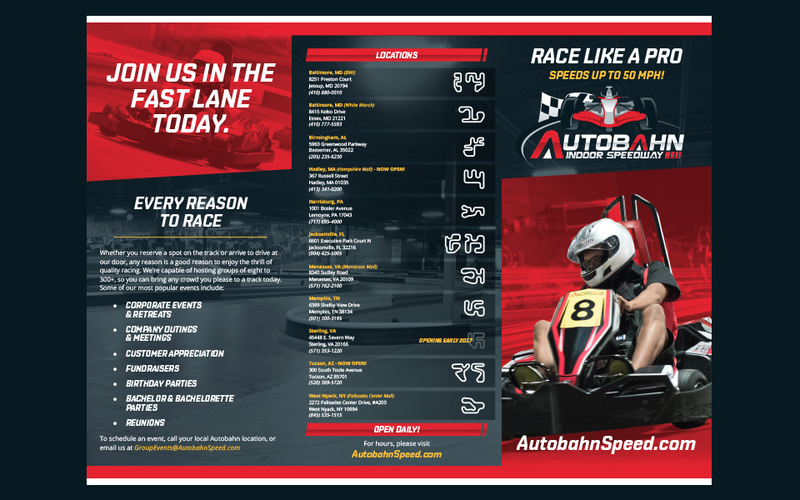 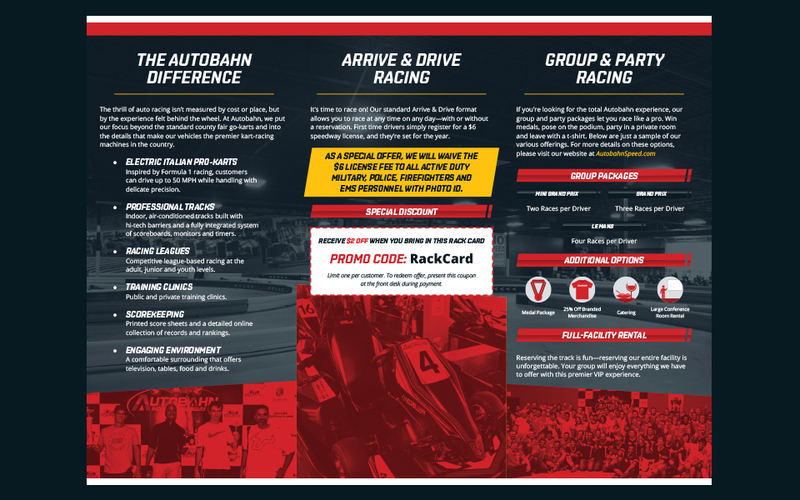 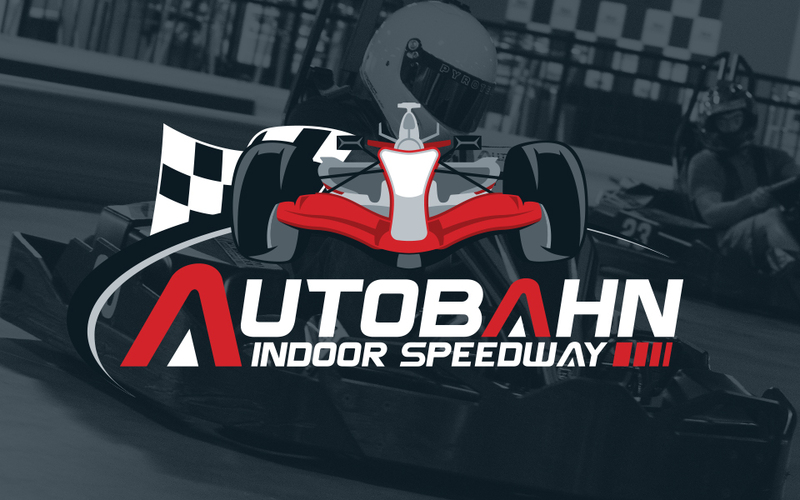 autobahn is a franchise of indoor karting & events facilities across the united states. 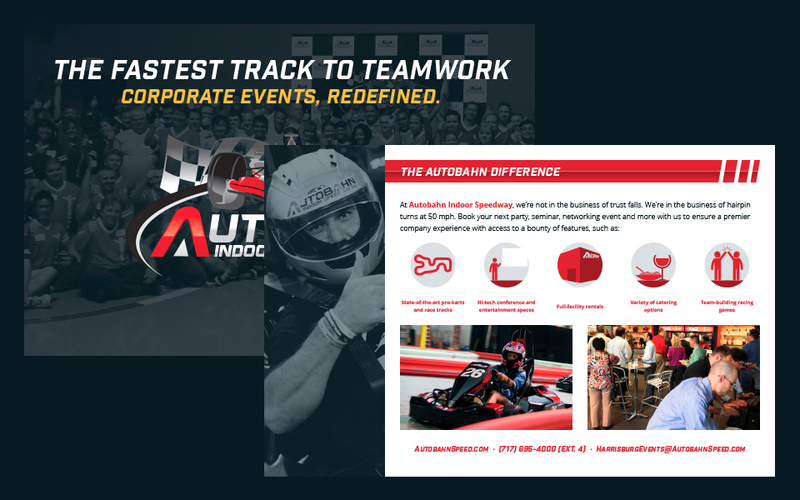 exit10 was hired to oversee its marketing, redesign the website, and refresh its branding. 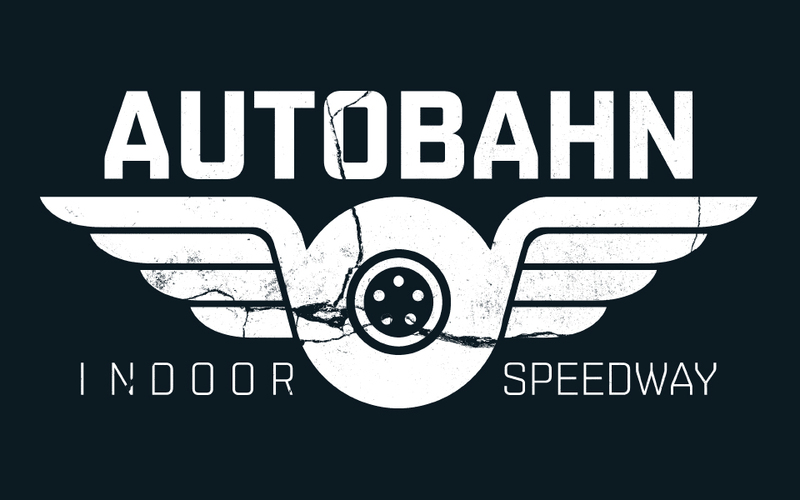 autobahn's original logo needed some clean-up, so we went in and cleaned it up. 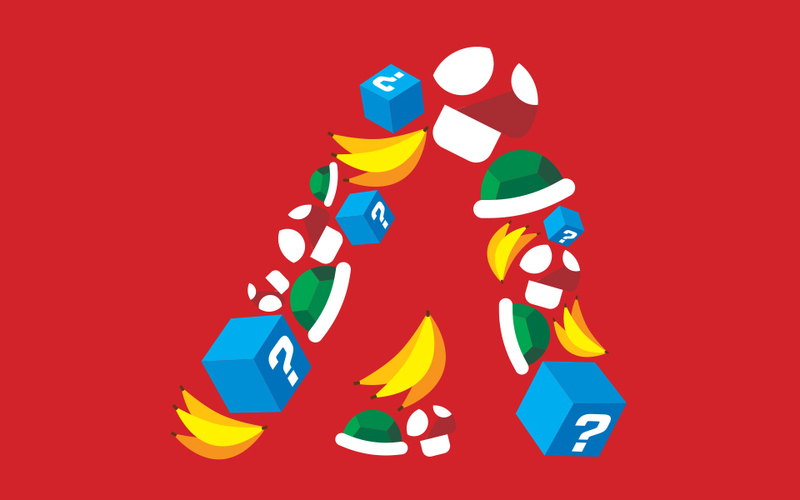 the refreshed logo is more legible on colored backgrounds and is overall more versatile. 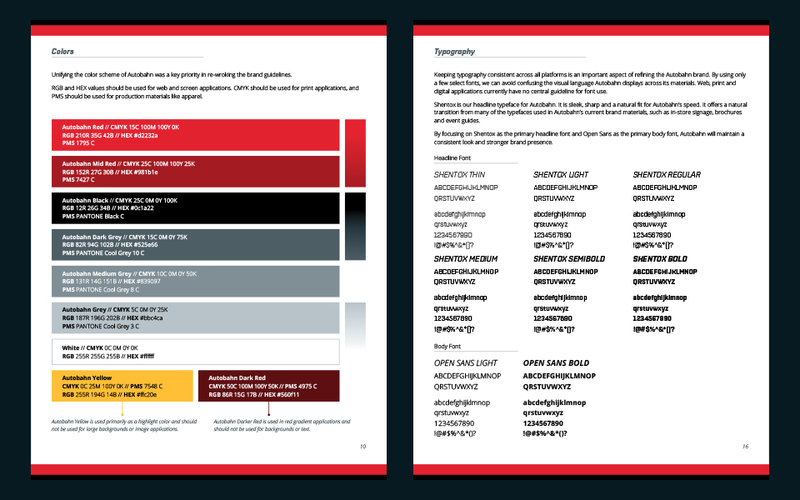 new, comprehensive brand guidelines were also created [exit10, 2016]. 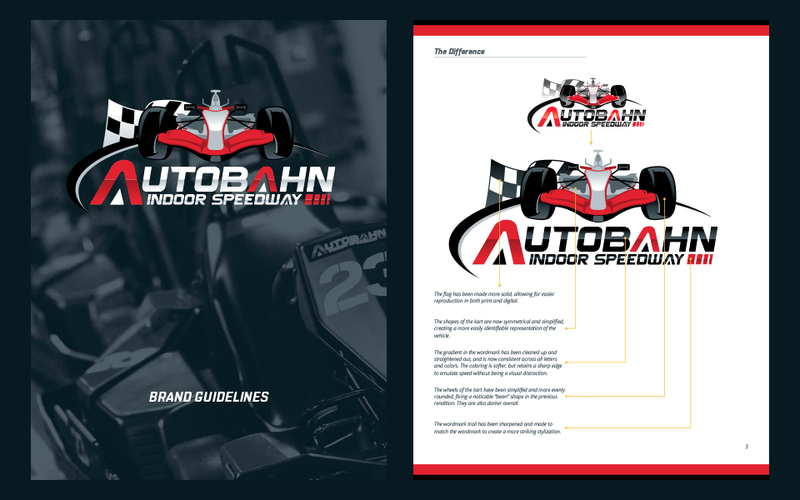 autobahn's needs included a wide variety of print materials, including tri-fold brochures and direct mailers, among other projects. 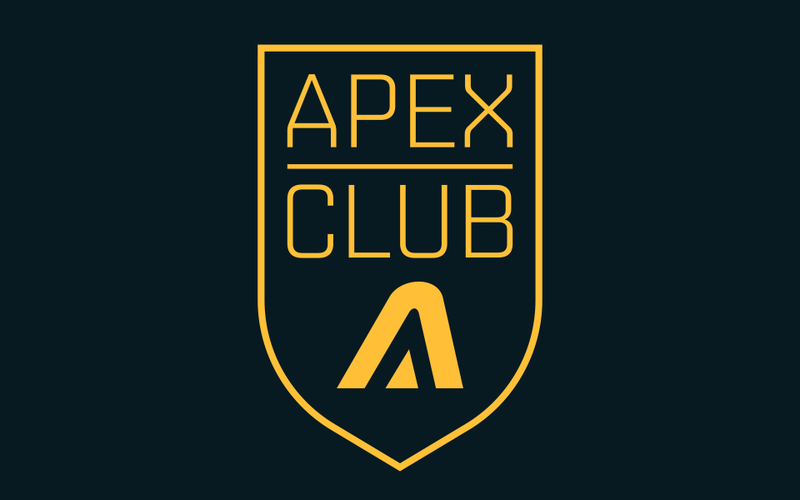 we also designed new fashionable t-shirt designs for sale on location, along with pitching a loyalty rewards program dubbed the apex club for frequent visitors [exit10, 2016].